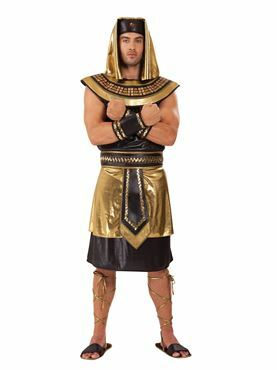 Rule the Nile in our Adult Egyptian King Costume! 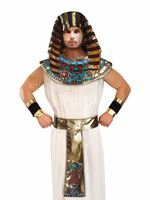 Reincarnate yourself as an Egyptian Pharaoh in our Adult Egyptian King Costume! 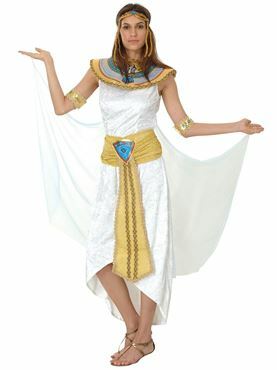 The Outfit comes complete with the Long Robe, Headpiece with Jewel, Patterned Neckpiece, Wrist Cuffs, Waist Belt and Sandals with Gold Lace Up Detail. 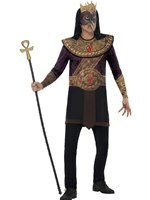 One Size 40" - 44" 34" - 38" 44"